Fall is here, which means it’s time for our fall Members’ Assembly meeting! I wanted to review a few of the things we’ll be doing at our fall meeting. Board Elections: We’ll be hearing from the folks who are running for the Board. Voting for your Board of Directors is a very important way you can participate in the management and governance of your business. The Directors represent your best interests, so make your voice heard! It’s always an exciting time when we seat new Directors because new ideas and perspectives refresh and invigorate our vision of the future and our understanding of how we fit into the local economy and the global co-op community. If you haven’t yet reviewed the candidates, please do so here. 1) Reduce the mandatory number of Members’ Assembly meetings from three to two. When we wrote our bylaws back in 2006, we were meeting three times a year: once in the spring, once in the fall, and once for a big party somewhere along the way. Now that we’re open for business, we have member-owner events throughout the year as well as our spring and fall MA meetings. Changing this language will not impact our meeting frequency; we’re aligning our bylaws with current practice. 2) Remove language about the number of meetings the Board of Directors holds per year. The bylaws require the Board to meet 12 times a year. However, sometimes due to a variety of reasons it’s difficult or perhaps unnecessary to meet that many times. We want to remove the mandate of 12 meetings per year so each Board can have the flexibility to decide a schedule that works out best for them and for the health of our business. 3) Change the name of our standing committee. Our standing committee is responsible for recruiting new Directors and ensuring that we have a healthy pool of leaders in our membership. The committee is currently called the Member Linkage Committee, but we feel this title does not accurately describe the charter of the committee or its responsibilities. We propose to change the title of the committee to the Leadership Development Committee. Nothing about the committee’s charter otherwise will be changed. Vision Discussion: This fall, we’ll also be engaging in a group interactive discussion about the vision of our expansion and how we can contribute to that development as member-owners. We’re still working out the details of that discussion, and the more people who get involved the more fun and dynamic it will be. Come with your ideas and enthusiasm! The Members’ Assembly meetings are fun, informal ways to learn about your co-op, get involved, and get reacquainted with old and new member-owner buddies. They are also your opportunities to participate in the democratic operations of your business. I hope to see many of you on October 26th! Meeting called to order at 11:03 a.m.
Kenley moves to adopt. Second By Steve. Motion carries 8-0-0. Extravaganzas calendared. House That Beer Built is proceeding. Timeline for elections established. All directors please recruit candidates. Bylaws changes for expansion: put on hold pending recommendations from Mark. 1. Change name of “Membership Linkage Committee” to something else. 2. Give the Board flexibility in determining how often to meet. Kenley moves to adopt report. Scott seconds. Motion carries 8-0-0. KSM moves to adjourn. Charles seconds. Motion carries 8-0-0. It’s Time for the 2014 Co-op Elections! Our 2014 election for the Board of Directors is underway! Meet the candidates and then cast your ballot online or in person at the Co-op. The election continues through the Members’ Assembly Meeting on Sunday, October 26th, at 12pm. Our Board elections are conducted by single transferable vote, so the ballot is extremely simple: just rank the candidates in order of preference. The following non-profits are currently on the slate for our support in 2014. If there’s an organization that you think deserves our co-op’s support, there is a write-in option on the ballot. Hey Member-Owners, it’s Election Time! Every year you have the golden opportunity to vote on the directors who will represent your voice in the management of your co-op. This year there are 4 open seats and 5 candidates running for the Board of Directors. Voting is one of the important ways you can participate in the democratic process. Plus plus, voting is just plain fun! 1. Why are you interested in serving on the Board of Directors of the Co-op? Black Star is a community and as with any community, the more that each of us put into it, the more that everyone will get out of it whether as an employee, a voting owner, or a board member. Serving on the board of directors is an opportunity for me to give back to the community that I’ve enjoyed being a part of since it opened. 2. What goals would you like to see Black Star Co-op achieve in the next year? Five years? In the next year, I want to see Black Star make progress towards duplicating the success of this coop in a second location. The success of Black Star is too great to not copy so that more can experience the magic that we’ve created. In the next five years, I want to fulfill the goal of patronage refunds. This is a primary duty of a co-op, and we can and should fulfill this expectation to the member-owners that have supported the co-op – hopefully enticing even more to join. 3. What qualities and past experience do you have for serving on the Black Star Co-op Board of Directors? With almost 15 years of experience as an engineering manager (and many more drinking beer), I have been responsible for budget and financial reports, project and risk management, competitive analysis, and decision making. I helped review the 2013 annual report for Black Star, giving me a bit of insight into the co-op, and I am excited to continue leveraging my management experience to further the principles and success of the co-op. 4. Name one way in which you’d like the Black Star Co-op Pub and Brewery to stand out from other local brewpubs. Brewpubs are a place where you go to drink and eat, but Black Star is much more than that. It already stands out because of the culture created by the involvement of the employees, owners and patrons. Coordinating opportunities to involve ourselves in the community, celebrating with owner and employee events, and being part of creating something special in such a unique cooperative brewpub are just a few of the things that help contribute to Black Star’s unique culture. Continuing and building on this culture is what will continue to distinguish Black Star from other brewpubs. 5. What is your favorite Co-operative Principle and why? My favorite co-operative principle happens to be the first one. Voluntary and open to everyone gives us a diversity and freedom that many organizations don’t get to experience. People join because they have a love of the food, the beer, the coop or all of the above, and there is nothing better than choosing to be a part of something that you love. My day job prevents me from trying my hand at cooking, serving, or brewing in the Workers Assembly, so this is the next best participatory thing I can do! The Board offered Jeff Young’s seat to me after he resigned so it would be filled for the remainder of his term, and I enjoy the work we do. The Board is not involved in day-to-day operations, freeing us to look down the longer road. That perspective and responsibility is where most of my interest lies. Next year, I would like to see the membership, Workers Assembly, and Board come together on a plan for a second location. With a viable plan, we open the doors to the membership’s volunteering zeal like we did before we broke ground at Midtown Commons. In five years, I would like to see membership numbers exceed 6,000, doubling our democratic base and bringing in fresh ideas. I’d like to see the second location thrive where we can set new goals for a patronage rebate. I’d also like to see our distribution agreement expand out to more parts of Texas. I have been a Black Star Director since April and a member since the beginning. My job requires me to problem-solve with a diverse audience and to maintain a longer-term outlook to help my clients stay out of the rough. I have a strong communications background and a persistent eye cast towards continuous improvement for everything I see. I work with the Board and staff very well and I want to see the Black Star model succeed and spread. Austin’s brewpub scene is increasingly competitive, but the competition is normally focused on the retail side of things. I think the goodwill and good deeds we built with the cooperative model on top of our fantastic food and beer already sets us head and shoulders apart from other local brewpubs. The first Principle is my favorite. Voluntary and open membership is the foundation for everything we do. There is so much in this world that forces and coerces us into situations we would never choose freely. Voluntarism recognizes our individual strengths, provides help for our individual weaknesses, and automatically brings people together with similar purposes. If only more social relations were such! I’ve been passionate about Black Star’s goals since before we opened, and I’m delighted with the success we’ve achieved. I believe in the democratic nature of cooperatives and the unity they create in communities. As someone who has been involved with co-ops in a few different industries, I believe my experience in cooperatives and in the private sector have given me insight to successful operation. And becoming more involved with Black Star is an opportunity I welcome and value. I want beer brewed by Black Star to be distributed more widely. I want our unique, ecologically responsible brews on tap next to other world class beers, and if a second facility makes that possible, ensuring our venture’s success is my short term goal. In five years, I would not be surprised if Black Star has multiple locations and becomes the preferred brewpub of the Austin community. A successful co-op competing side by side with pubs that aren’t owned and operated by the community they serve will make history and spark change in Texas and beyond. I’ve been involved with co-ops throughout my life. I served as Vice President of the Buckman cooperative residence at University of Florida, and I’ve acted as a member of the tech team at KOOP FM 91.7, Austin’s community radio station. My dad founded a food cooperative in New Mexico in the early Eighties. I’m an entrepreneur who has founded and fostered startups, and I’ve worked in large corporations too. I believe these roles have brought me an understanding of the dynamics of successful organizations. Black Star is a place where people come to share ideas and build stronger community relationships, and it stands out by hosting events that benefit everyone in Austin. I’d like to see more charitable and socially-minded events hosted and sponsored by Black Star to the extent that we become known for contributing to Austin — the public continues to invest in Black Star, and Black Star returns the favor. Principles 7 and 2. Concern for Community is my favorite principle — Black Star has earned its commercial success, and it shares this success with the community it represents. I also strongly believe in the Democratic Member Control demonstrated by Black Star Co-op. One member, one vote: it’s a policy that sets an example for leadership in all endeavors. I have had the pleasure of serving on the Board for the past year and have been a member of Black Star Coop since 2009. 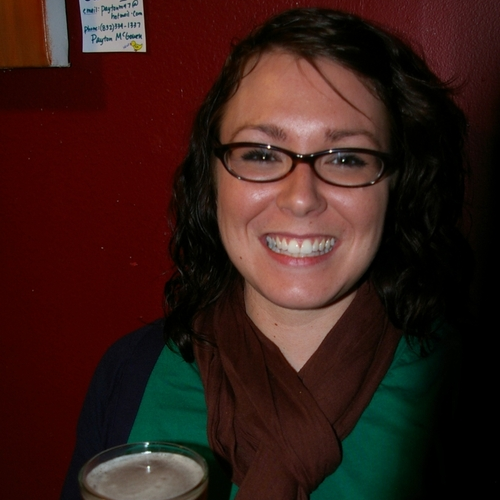 When I lived in San Jose, California, I was one of 16 founding members of the San Jose Cooperative Brewery & Pub (SJ Brewpub http://sjcoopbrewpub.com/). It was during this time that I really fell in love with the idea of cooperatives and the benefits they have over existing business models. For me, serving on the Board is one way of supporting the Cooperative ideals. The Coop continues to fight for the ability of local, independent breweries to compete on a even basis with the national brands. The Coop has a financial plan to reduce its debt and start paying patronage rebates to our member-owners within five years. The Board reviews the processes that it uses to gather input from Coop member-owners and ensure that it is inclusive and provides sufficient guidance as it makes important decisions. As a current Board member, I understand how the Board operates under its policy governance system to represent its member-owners and the Workers Assembly. I’m a founding member and ex-Board Member of the SJ Brewpub which incorporated in February 2013 and now has over 300 members. I have a Masters Degree from UT and have worked in local and state governments. For five years, I was the AISD Assistant Director for Planning Services and was responsible for site selection and acquisition of real estate for AISD facilities – useful experience as Black Star considers a second location. I would like to see the co-op support and grow the number of home brewers in Austin by continuing to provide the educational sessions. This could be further supported by incorporating some equipment in the second site that our member-owners could use (maybe rent to non-members).Or how about holding a Home Brew Competition as a fundraiser for a local non-profit or cooperative? As you can probably guess from some of my previous answers, I have always liked the “Co-operation through Co-operatives” principal because this really points out the difference of cooperatives as a business model versus the traditional competitive model. Black Star demonstrates that businesses do not need to compete and drive each other out of business in order to succeed. I am interested in being a part of a community business that provides unique character to the community of Austin. I love that Austin is about the small business and Black Star Co-op is a cornerstone being employee owned and run. Black Star Co-op will be a flagship for other co-ops in Austin. Black Star would be partnered with other co-ops mutually supporting other co-ops as a network. Blackstar would expand into other opportunities. I have served as Vice President and President of various Alumni and Veteran organizations in roles that included marketing, networking, business development and organizational development. I have 24 years of experience as a veteran of the US Army executing leadership roles and project management jobs. As a new founder of my Austin logistics company, I am well networked in Austin. I have served as Vice President and President of various Alumni and Veteran organizations in roles that included marketing, networking, business development and organizational development. I have 24 years of experience as a veteran of the US Army executing leadership roles and project management jobs. As a new founder of my Austin logistics company, I am well networked in Austin. Black Star should be a sponsor at major Austin events and highlighted to major Austin companies as a venue for events. Black Star should partner with other Austin co-ops and businesses and be recognized at such events as South by Southwest and Austin City Limits Music Festival. Principle 7- As a community organization, Black Star should be an integral part of the community and find ways to give back. Such giving back should be creative Austin ways of being part of the community helping those less fortunate. Black Star should sponsor events across the wide spectrum of city events to keep the Austin feeling and help develop the culture. Previous Board resolutions have been archived here. Previous Minutes of the Board of Directors have been archived here. What do you do at Black Star? I’m the Business Team Leader and Black Star mom. Basically, I make sure everyone’s homework is done, rooms are cleaned, and take away the xbox when people forget to feed the dog. I also read everyone bedtime stories and give them loving pats on the head. What’s your favorite beer currently on tap? What’s your favorite late-night drunk snack? Any type of breakfast food. What’s your favorite cooperative principal? Education, Training, and Information. I’ve learned so much from Black Star and continue to expand my knowledge and skills each day. If time was no issue, which completely impractical skill would you work to perfect? My bowling score. I love bowling! How many forks are there in a formal place setting (please don’t use google)? First and last songs on your perfect party playlist? What is the title of your future memoir? The Extravaganza is a casual open-house event and also gives you an opportunity to meet other Member-Owners, chat with Directors, and get some much-deserved appreciation with tasty snacks and beers. Once again this month our Directors will be around to discuss our part in the ongoing fundraising project “The House That Beer Built.” Austin’s Habitat For Humanity will soon be building a house for a deserving family with funds we helped raise. Bonus! Make a donation at the Pub of $20 or more and Director Basile will buy you a “House” pint. Come throw in your two cents and meet some new friends. Gathering will be in the Dart/Barninsula area. As a founding member of the Austin Cooperative Business Association (ACBA), Black Star Co-op is participating in a Financial Services Survey and Credit Union Membership Drive. The survey will be done online and in the stores during September and October. The survey will gather information about Black Star Co-op customers’ financial services providers and encourage respondents to join a credit union. As financial cooperatives, Credit Unions are an important part of the cooperative economy in Austin. ACBA wants to know how many co-op shoppers are already members of credit unions and encourage those that are not to join one. ACBA is a trade association advocating for cooperative businesses in Central Texas. Its mission is to increase membership and profitability of cooperatives and raise the profile of the cooperative business model. Cooperatives have been an important part of our economic vitality in Central Texas for more than 75 years. Please keep an eye out for the ACBA survey table when at Black Star Co-op this Fall or take the survey online. There will be a drawing for prizes among respondents who are willing to share their contact information. The Black Star Co-op Member-Owner Homebrew Competition is back, and we want you to design a beer for our Fall/Winter line-up. It’s been a while since we’ve reached out to Austin’s talented home-brewing community, and we are definitely past due. The winner will brew their recipe with the Black Star Beer Team for a release sometime in November or December. We’re also giving the winner 5 gallons of the first batch–that’s about 33 pints to do with as you wish as long as the beer flows. 1. We use a clean house strain (Dry English Ale Yeast WLP007 from White Labs) which would most likely be used for your brew. 2. No wild yeast/bacteria should be present (e.g. Brettanomyces). 4. Up to three entries per brewer/brewing team. The judging team will made up of a panel of Black Star Co-op Worker-Owners. 2 bottles per entry should be provided, and the below label should be affixed with a rubber band to each. Entries should be turned in at Black Star Co-op between November 10-14. All entrants must be members of the Co-op. Join today! Explore some interesting styles! No ABV limitations. If you have any questions, please don’t hesitate to contact us through beer@blackstar.coop. Cheers!